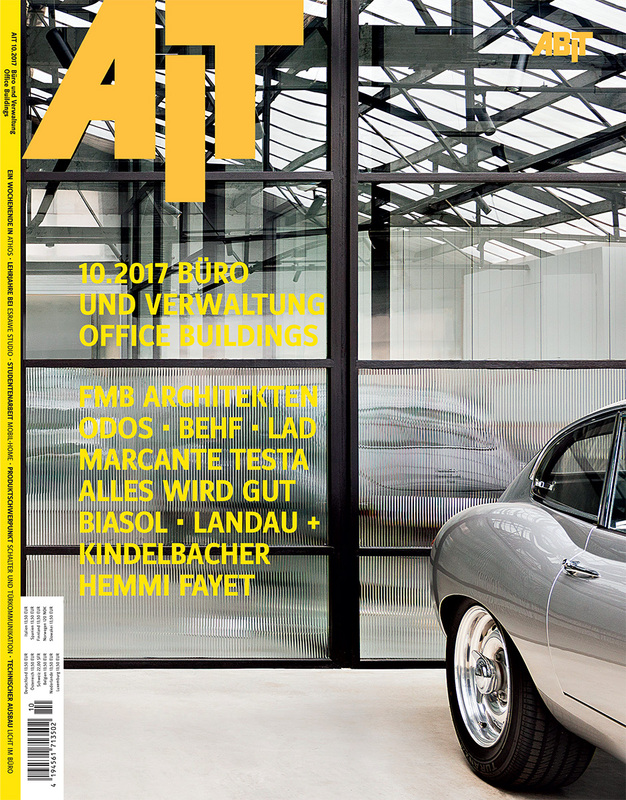 Our project for a law firm in Turin has been published by AIT, on the October issue dedicated to offices and working spaces. 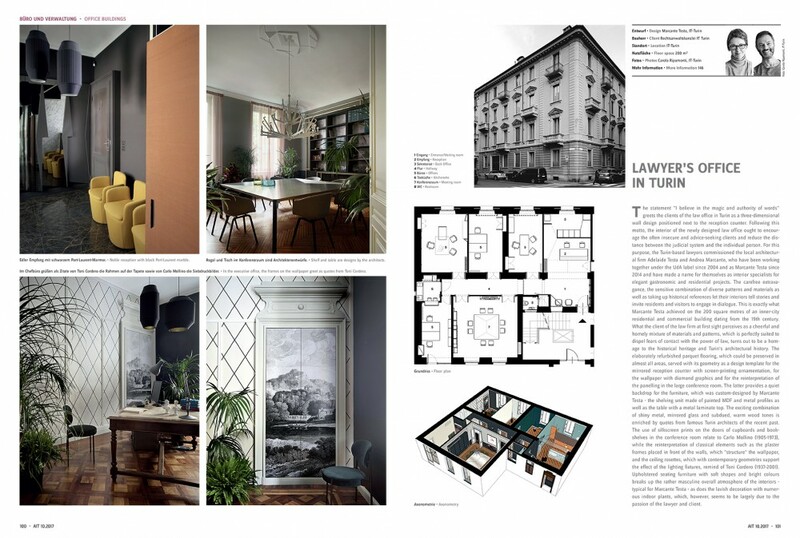 enriched by quotes from famous Turin architects of the recent past. 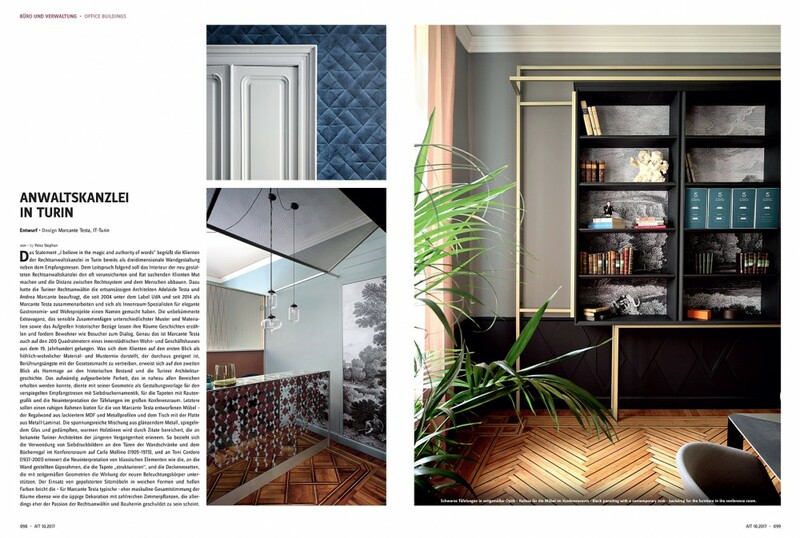 The use of silkscreen prints on the doors of cupboards and bookshelves in the conference room relate to Carlo Mollino (1905-1973), while the reinterpretation of classical elements such as the plaster frames placed in front of the walls, which “structure” the wallpaper, and the ceiling rosettes, which with contemporary geometries support the effect of the lighting fixtures, remind of Toni Cordero (1937-2001).